“This has been a treasured gem in the city of Tampa for over 90 years and I think it truly deserves the designation of a historic landmark,” said Rep. Jackie Toledo, R-Tampa. “(This is) something that the state has not recognized and we hope to change that." If the state approves the designation, the Tampa Theatre would be protected as the downtown area continues to evolve and grow. The theatre, said its President and CEO John Bell, is much more than just a building. For many in the bay area, including Tampa Theatre Board Chair Anne Pittman, the building also has personal significance. With so much downtown growth coming at such a rapid pace, Toledo said protecting the theatre as soon as possible is at the top of her to-do list. 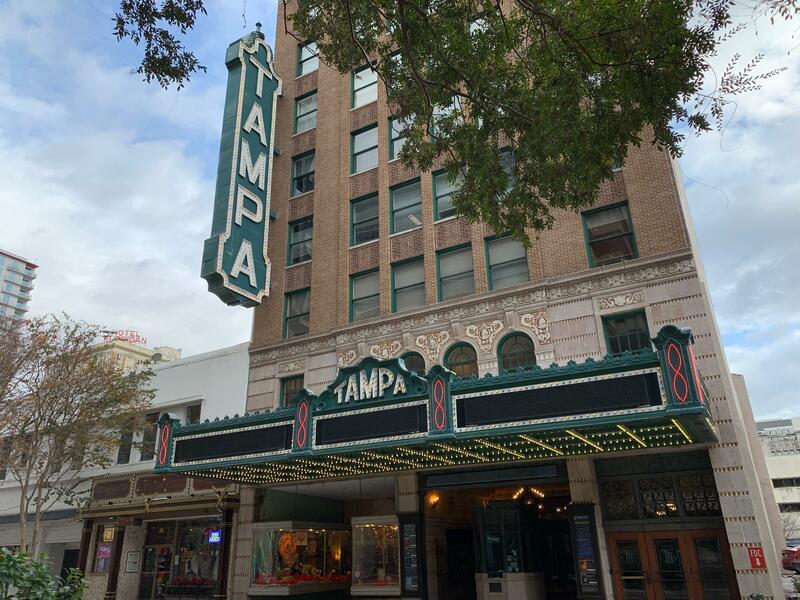 She added that once the state’s Historical Resources Division receives her letter, a lengthy application process for Tampa Theatre’s State Historical Marker designation begins. What has been called one of the most beautiful theaters in the world has been showing its age lately. So the Tampa Theatre was shut down for six weeks. The first phase of its facelift is done - but it wasn't without some challenges. The Tampa Theatre is one of the oldest movie palaces in the country - and it's showing its age. It's being closed for six weeks, and parts of it will be returned to its former splendor. Originally designed by renowned architect John Eberson, who is also credited for designing the Paramount Theatre in Austin, Texas, the Tampa Theatre is regarded as one of the world’s most elaborate theaters with an out-of-this-world experience. The theater’s complex flower designs and ominous gargoyles transport the audience to world of willing suspension of disbelief. Built in 1926, the intimate Mediterranean courtyard themed stage sits perfectly lit under the 99-bulb studded ceiling, resembling the night’s sky. In fact, the Tampa Theatre is a passionately protected landmark and one of America’s best-preserved examples of grand movie palace architecture. The Motion Picture Association of America gives Tampa Theatre two thumbs up. Way up. MPAA has just named Tampa's historic movie palace among the world's 10 best theaters. The rankings, which debuted this week on MPAA's news website, are based on "diversity of spirit, location, and architecture."